InPortal provides full service compliant Security Token Offering (STO) issuance directly for the corporate issuer and secondary STO liquidity. 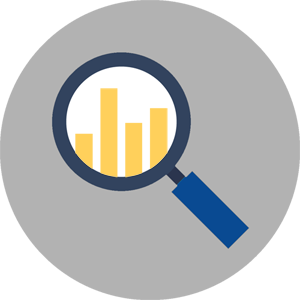 The FINRA Compliant application is an equity capital markets (ECM) and a debt capital markets (DCM) compliance tool that integrates into a FINRA broker dealer's web site. InPortal offers customized funding applications for real estate developers, REITs, secondary liquidity for limited partners, and syndications. InPortal is your compliant provider for a Security Token Offering for both equity and debt STO issuance with reporting, data room, and ledger smart contract settlement across all asset classes and geographies. InPortal is focused on compliance and providing clients comfort that all aspects are covered. The core of compliance for Reg D is the accreditation process. Transacting through private placements is not a standardized process like trading on a public exchange. InPortal strives to streamline the private trade and provide transparency. InPortal provides Compliant Market Access through an equity capital markets (ECM) and a debt capital markets (DCM) platform with a dedicated public corporate landing site and controlled investor access to a deal data room. InPortal can be used across all asset classes and geographies. 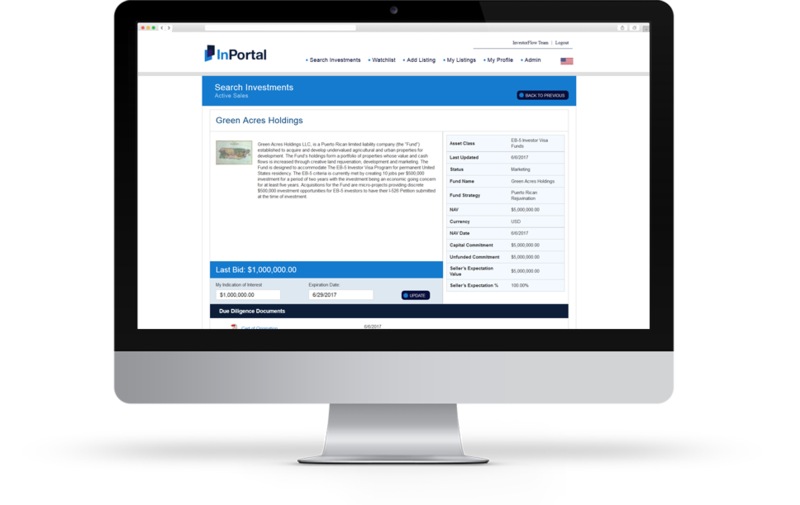 InPortal is an ideal platform for all businesses from private equity funds, direct private and public corporate offerings, real estate developers and EB-5 Investor funding. The portal provides templates for the Subscription Agreement and facilitates Form D SEC Filing. It provides Accredited Investor Representation Letters for Rule 506 (c) offerings, generated from the internal CRM, along with advertising guidelines for Rule 506 (c) offerings. InPortal provides compliant access to capital markets for investors and issuers. Cross border transactions, whether inbound to the U.S. or between non-U.S. jurisdictions, regional compliance overlays are applied to ensure local solicitation rules are being followed along with anti-money-laundering (AML) protocols. 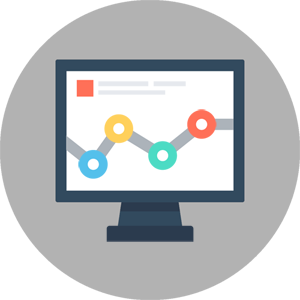 InPortal corporate postings are made through a month to month standardized agreement. The postings on the Offerings page are public whereby after Applying for Membership, an interested investor is granted access following the approval by the issuer to the secured deal room. The deal room contains the due diligence material, subscription agreements, and a dialogue interface between the investor and the issuer. InPortal provides companies interested in raising capital through security token issuance with a complete package of documentation for the STO providing KYC, and where needed, accreditation and a control on trading the tokens to comply with regulatory holding periods. InPortal's solution to liquidity is to have the security token and all smart contracts and records of accreditation on the company's own Blockchain ledger linked to InPortal's private market. Inquiries for STOs can be made through this website or by email to info@inportalusa.com. InPortal provides an indispensable compliance tool for investment banks seeking to offer their clients a Security Token Offering service. Apart from providing a transaction venue for investment banks, InPortal can provide guidance through the securities token offering process including working with FINRA member's to adopt STO procedures into their Written Supervisory Procedures, and record retention. 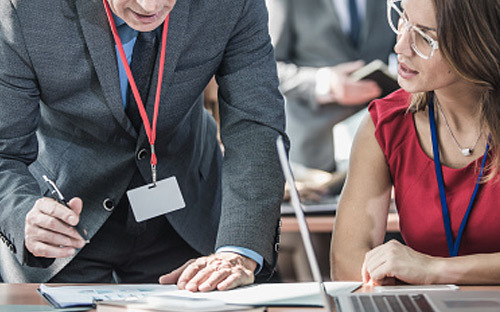 Whether an offering is in the form of an STO or a traditional Reg D offering, all investment banking transactions require that documentation be approved by the FINRA member's compliance officer before going live. InPortal retains and compiles all relevant documents which are then easily submitted to FINRA for review at cycle audits. 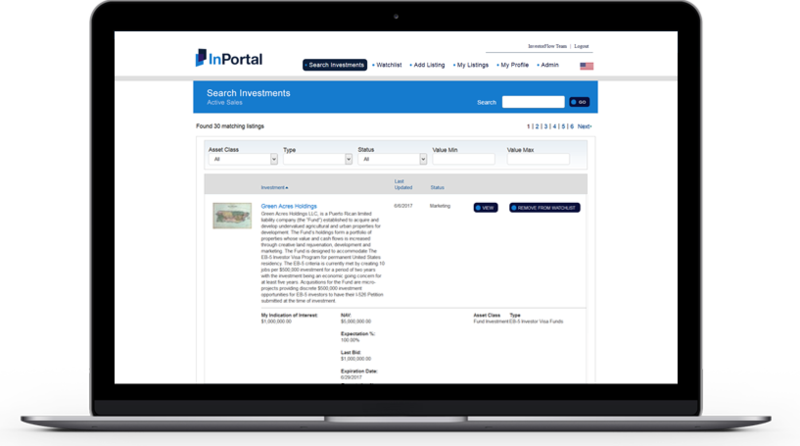 Inquiries from investment banks seeking InPortal's STO service can be made through this website or by email to info@inportalusa.com. Deal postings are uploaded on the client backend and are interactive reflecting investor interest and queries. Investors can sort deals by geography, asset class and industry and have the ability to submit non-binding bids. InPortal offers customized funding applications for real estate developers, REITs, and, secondary liquidity for limited partners. 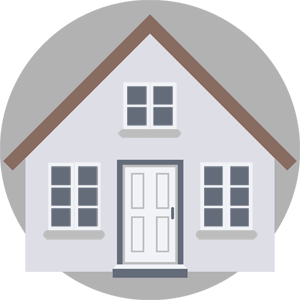 Rule 506 for Real Estate Syndication explicitly permits foreign investors to purchase U.S. real estate. InPortal provides rigorous accreditation, including Accredited Investor Representation Letters for Rule 506 (c) offerings, screening for "Sanctioned" or "Blocked" foreign nationals, following the Anti-Money Laundering (AML) and Office of Foreign Assets Control ('OFAC"), and Financial Crimes protocols. These funding applications are offered through both InPortal's Corporate Direct and FINRA Broker Dealer platforms. The EB-5 program grants foreign investors green cards after they invest in new enterprise job-producing ventures. InPortal is an ideal solution for funding EB-5 Investor Visa projects. Working in conjunction with preeminent law firms and developers, InPortal provides rigorous accreditation vetting and documentation. InPortal works with Regional Centers and also has the expertise to prepare and manage Direct Submissions. InPortal constantly monitors changes to the EB5 Investor Visa Program and rule changes to the US Citizenship & Immigration Service (USCIS) minimum investment amounts for the EB5 program and targeted employment areas (TEAs). InPortal views Puerto Rico as a choice EB-5 location, as well as a location to invest through the new Opportunity Fund initiative, where the entire island qualifies for both programs. InPortal supports settlement and accreditation for both public and private companies issuing debt, preferred shares, equity-linked securities, or common stock in primary and secondary offerings through smart contracts deployed on the issuer's ledger. 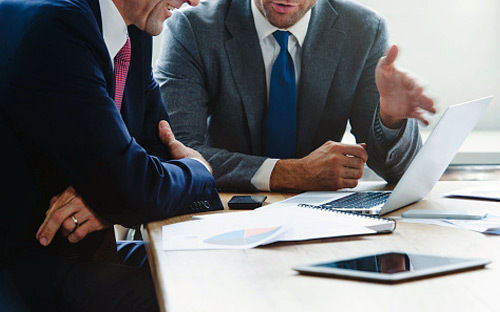 Our operations teams work with issuers and investors to move the transaction efficiently through to settlement with both traditional accreditation and Blockchain ledger accreditation record keeping. 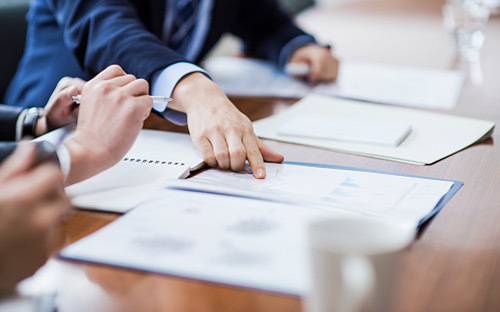 We are dedicated to understanding and supporting each issuer's particular transfer process, be it transmitting instructions to custodians, setting up escrow accounts, or providing template subscription documentation. Most importantly, investor accreditation is reviewed before subscription agreements are circulated for signature to ensure both the spirit and letter the Regulation D Rule is observed. Our team is standing by to provide consultation to address your questions and queries.